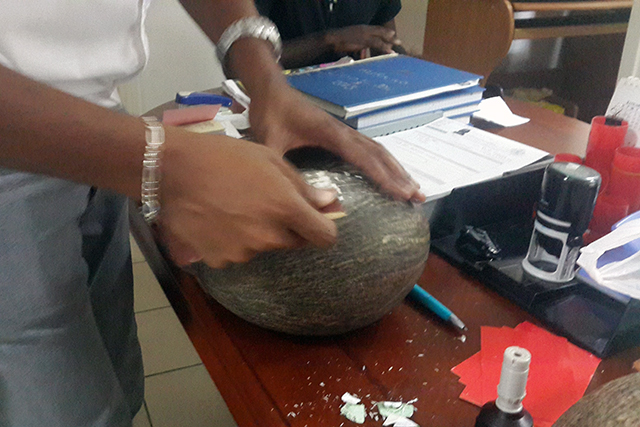 (Seychelles News Agency) - The Seychelles’ Ministry for Environment, Energy and Climate Change says that the exercise to exchange old coco de mer tags and permits for new ones ends April 28. The director-general for biodiversity, conservation and management says that around 500 coco de mers have received new tags. 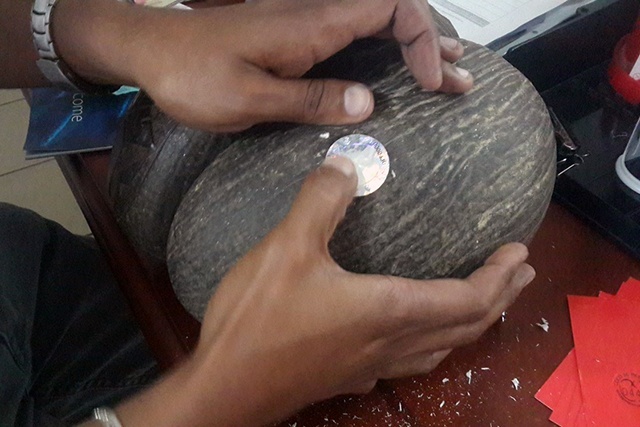 The new holographic coco de mer tag and permit system aimed at curbing counterfeits and protecting the endemic species were introduced earlier this year. Marie-May Muzungaile said officials have worked with around 100 individuals and businesses where the tags and permits were exchanged. The old tags can be exchanged for new ones at the environment office at Room 205 Aarti Chambers, in the central district of Mont Fleuri during working hours, from Monday and Friday. On Praslin, the second-most populated island, Muzungaile said the exercise is going smoothly. For the residents of La Digue, the third-most populated island, the exchange is being done from the Praslin environment office. Muzungaile said that they are facing some challenges. While most people have their tags most of them do not have their permits. Another issue is the difficulty to trace permits dated more than 12 years. 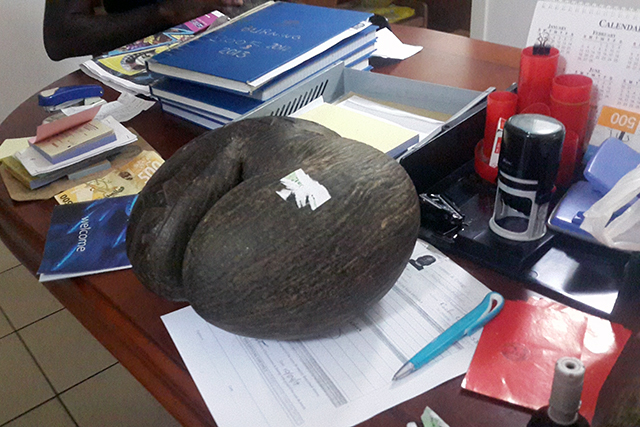 If the permit cannot be traced, the owner has no other option but to purchase a new one as it is illegal to have a coco de mer without a tag and permit. The Ministry says that they have no control of nuts that have left the country, however, the tags and permits are in the system and will remain valid. Found only in Seychelles, an archipelago in the western Indian Ocean, the coco de mer is the largest nut in the world and grows naturally on Praslin, the second-most populated island and Curieuse, managed by the Seychelles National Parks Authority.